Florenceholidays.com is a real estate agency specialised in renting villas with swimming pool in Florence and on the surrounding hills - villas with swimming pool near Florence or in the Mugello region, ancient farmhouses that have been transformed into luxury villas with swimming pool for holidays in the Tuscan countryside and apartments in villas. City of art "par excellence", Florence was the cradle of Renaissance. Its historical centre is rich in superb works of art by Giotto and Michelangelo, whereas its countryside is dotted with villages rich in still less-known artistic and cultural treasures. Florence and its province are the ideal destination for food and wine lovers. If you are willing to spend your holidays in Florence, look for your accommodation in our website. Visit our website and choose the villa with pool for your holiday in Florence . 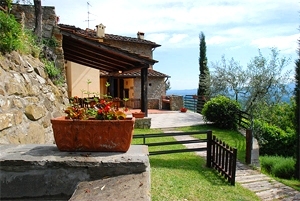 Villa for vacation rental in Radda in Chianti, between Florence and Siena, in the Tuscan countryside. Accommodation for 10 people, garden, swimming pool, panoramic view, Internet connection. 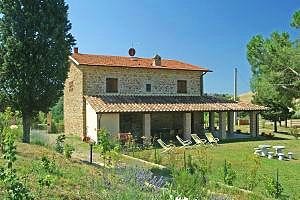 Farmhouse (independent villa) on the Tuscan hills in Valdarno Superiore between Florence and Arezzo. Swimming pool, whirlpool bathtub, solarium, Internet connection. 10/14 beds. 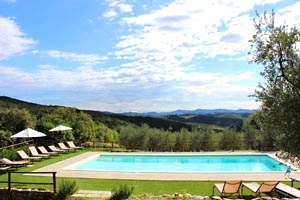 Holiday villa few km far from San Gimignano, near Florence and Siena, Swimming pool, accommodation for 8 people, Internet connection. 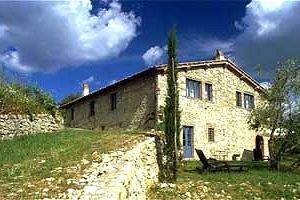 Luxury villa near San Gimignano and Volterra, between Siena, Pisa e Florence. Panoramic position on the hills of Val di Cecina. Swimming pool and solarium in the garden, dependance with a barbecue, elegant rustic style furnishing. Air conditioning, Internet WI-FI Connection. 8 +3 beds. 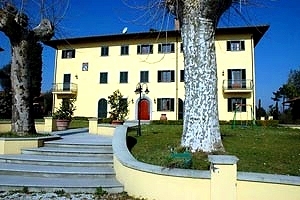 Villa sleeping 12 for rent between Florence and Siena, in the Chianti Classico region, near Castellina in Chianti. Swimming pool, Internet connection, air conditioning, barbecue. Possibility of purchasing the produce of the farm. Gorgeous panorama. 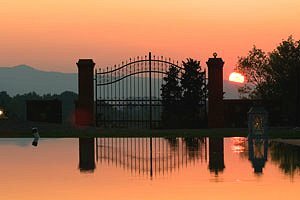 Elegant luxury villa sleeping 11 halfway from Florence and Pisa and a few kilometres from Montecatini Terme, in Lower Valdarno. Wide park, swimming pool, Internet connection, whirlpool facilities, air conditioning. Tennis courts, riding stable, restaurant, wine shop and wellness centre nearby.